Over the last 20 years, I have been blessed and fortunate to have held a wide variety of positions in public education ranging from bilingual classroom teacher to special day class teacher to district administrator in Arizona and California. In addition to K-12 public education experience and prior to my appointment as Head of School (LDPP) in 2015, and Associate Dean Postgraduate Programmes (2014), at California State University San Marcos (CSUSM) I was Director for the Joint Doctoral Program in Educational Leadership with the University of California, San Diego. There I worked collaboratively to support students who were practicing educational leaders working toward the attainment of terminal degrees. As a Spanish born, Spanish speaking woman scholar of color (Black African American of Irish and American Indian (Choctaw) descent), I often share with students and colleagues that educational research in academe is often 'me-search'. 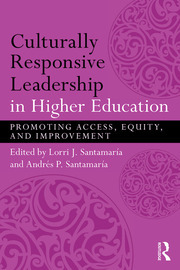 As such, my research includes the study of leadership practices promoting cultural and linguistic diversity and academic achievement in Early Childhood, Primary, Middle School Secondary and Higher Education (preK-HE). My focus is currently evolving to include the integration and balance of mind, body and spirit to benefit systemically underserved learners at every level, following my own recent experience with illness. Beyond my commitment to global social justice and equity and active scholarly work for the benefit of vulnerable peoples, particularly systemically underserved women and children; I especially privilege and enjoy time spent loitering lovingly with my precious family and friends. I like to treat and balance myself with regular yoga practice including asanas, meditation, and breathing deeply as well as West African dance and playing my djembe. All things quantum, spiritual, sci-fi, and metaphysical fascinate me to no end. If I were to study again, it would be quantum physics, for sure. Finally, my soundtrack for life is 80's alternative and high energy dance music including Prince, as well as Indigenous and New Age-ish mystical ambient jams.